Brian Wheeler oversees the technology team at Morpheus Data. 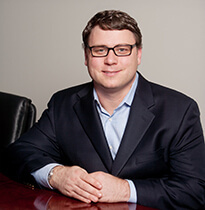 Prior to Morpheus, Brian founded a software development consulting firm which designed and developed solutions for a variety of industries including power grid management, ticketing systems, online trading, social networking and gaming, SOX compliance, and e-commerce. Brian holds a bachelor’s degree in Chemistry from Pomona College. Only in the computer industry could you find two completely opposite trends occurring at the same time. How is it possible for data to be simultaneously centralized in the cloud and decentralized to the edge of the network? What seems counterintuitive at first glance starts to make sense when you consider the balance required between user-centric architectures and hyperconvergence. Content delivery networks (CDNs) are the new “middleware” that connect the users who work and live at the network’s endpoints with the bulk of data resources that are increasingly centralized in the cloud. Many industry watchers admit being caught by surprise as the expected decline in “hyperscale” data centers failed to materialize. Data centers continue to grow in size, but the total number of data centers hasn’t declined as expected, according to an article in Data Center Knowledge. Instead, the number of huge data facilities now running or planned worldwide has increased. Because these “mega-centers” make tremendous demands on electricity, water, and other resources, they tend to be located outside of the urban centers where the bulk of users reside. This has introduced a new barrier to service delivery by companies: old-fashioned geography. Users of cloud-hosted services such as Microsoft’s Office 365 at small and midsize companies increasingly report slowdowns and other performance problems. The network latency inherent in long-haul data transfers is causing many organizations to open regional data centers in cities and central business districts. This phenomenon is part of the overall Internet-of-Things-driven trend of more resources residing at or near the edge of the network. People have come to expect a near-instantaneous response when interacting with cloud-based content, whether they’re updating a database, working on a graphics-heavy document, or binge-watching Black Mirror on Netflix. CDNs cache high-demand content on servers dispersed around the world so the data has less distance to travel to users. Simple, right? In fact, some data types are easier to cache on CDN servers than others. The advent of augmented and virtual reality, the Internet of Things, and other data-driven technologies will strain CDNs to and past their limits. One problem is that CDNs accommodate large data objects such as video and multimedia more efficiently than they do small objects, like the signals received from sensors. As you might have guessed, a big share of the increase in network traffic is coming from the Internet of Things, which is characterized by these small objects. The forecast for continuing bandwidth shortages has led to enterprises and access providers investigating shared CDN facilities, where both parties have cross-connect points to leading content providers. Thus the “service provider edge” is overlapping more and more with the edge of the enterprise network. The challenges facing data-access providers can at times seem insurmountable. Consider that just one new data source — wearable devices — placed 97 million devices in the field in 2015, which collectively generate 15 petabytes of data each month, according to CommScope. Placing even more strain on networks are new technologies such as augmented and virtual reality, as well as the continuing demand for streaming video. Add interactivity to the mix and you’ve got data demands that were unthinkable just a few years ago. Now consider that corporate customers have less and less patience for latency at the same time they’re placing unprecedented demands on network throughput. It’s no wonder CDNs are moving closer to the network edge. The trick is to create an edge presence in a way that is efficient, inexpensive, and self-managing. Analysts predict a surge in colocation facilities, which are expected to host 50 percent of all enterprise data centers by 2020, up from 30 percent in 2015. Colocation allows corporate servers to be “modularized” so they are optimized for the natural characteristics of their location in terms of energy efficiency and other operating factors. Modular data centers can be placed anywhere there is sufficient power and connectivity to high-speed fiber networks. In fact, power management becomes a key benefit to colocation facilities. For example, environments that allow cooling to be done via adiabatic or “free-cooling” systems can realize sub-1.05 power usage effectiveness, according to CommScope, compared to the data-center industry norm of 1.7. Modular data centers wouldn’t be feasible without self-management capabilities, which makes automated infrastructure management and data center infrastructure management a necessity. Such systems deliver remote monitoring of the data center’s physical layer, provisioning, power, cooling, and other components. The final enabling technology for the new enterprise edge is high-speed interconnects between data centers and cloud services via peering at internet exchanges. The cost of these high-speed links is expected to decline with the advent of silicon photonics and other optics technologies. 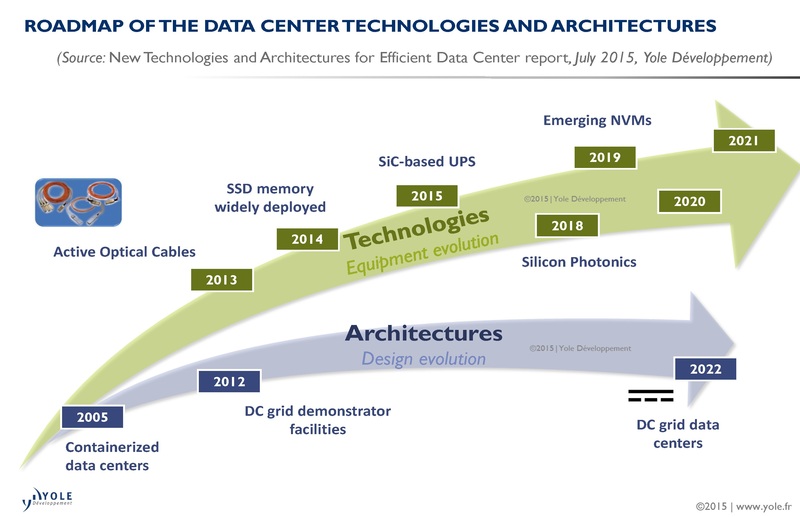 New data center technologies such as silicon photonics, wide-band-gap (WBG) materials, and direct-current grids enable the self-management capabilities required to make modular data centers feasible. Source: Yole Développement. Is a DIY CDN the Best Option for your Operation? Until recently, creating your own content delivery network was the province of Netflix and other data-consuming giants. The arrival of new services and software — much of it open source — has made deployment of private CDNs practical for organizations in a range of industries. A private CDN makes sense only in specific situations, argued Pete Mastin, formerly an evangelist for Web performance metrics company Cedexis (And now with IBM), in an article on DZone. Create a video content management toolkit that is customized to the source of your digital media file types, all of which have to be processed into an adaptive bitrate format. Start with bare-metal servers in your points of presence (POP), which avoids multitenancy and other shared-resource scenarios. Deploy Unified Streaming’s Unified Origin software plugin on each server to repackage content on the fly in the format required by each client device; the tool works with Apache, Nginx, Microsoft IIS, and Lighttpd servers. Address digital rights management (DRM) issues by using a plugin such as Unified Origin to apply automatically the correct DRM protection for each specific piece of content. Connect users to the best possible origin server by selecting a routing tool that meets the requirements of your unique delivery architecture. Find a tool that identifies the optimal location for deployment of new POPs as your CDN evolves to meet the ever-changing needs of users. 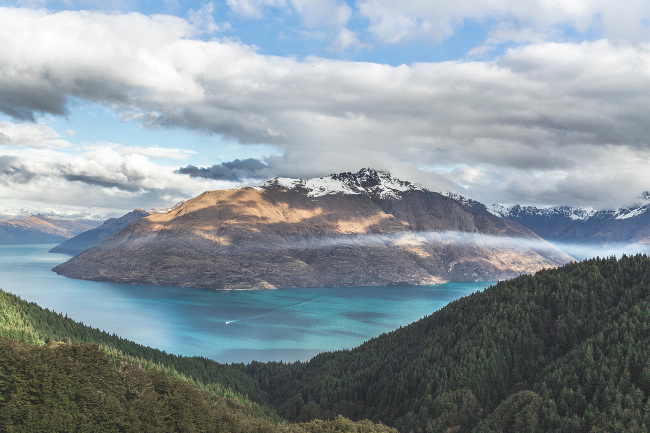 Feature image by Samuel Scrimshaw via Unsplash.